Papertrail has gone through many stages of development, from our earliest version to the more mature, multifunctional product we have today. A lot of hard work ensures that Papertrail combines the simplicity that sole traders value, with the power and features that multinational corporations can’t manage without, including management and oversight of core business activities. During this time, especially the last year, we have introduced numerous updates, but kept rather quiet about them. We make sure our customers know through our Newsletter and in-app messaging, but this heads-down focus on product development hasn’t left enough time to tell anyone else about our efforts, until now! So, without further ado, we are excited to tell you about the new feature our development team have been working hard on: Activities. Why have we developed Activities? Before we created this, anything could be changed in folders, on safety, equipment records and throughout training and compliance documents without the management team necessarily being notified. Now, more than ever, accurate digital record keeping is essential for companies of all sizes. Paper and Excel is too easy to lose, change or neglect, making it even more challenging to accurately manage health, safety and compliance. Activities provide a simple way to stay compliant, whilst giving managers an overview they can’t get elsewhere. 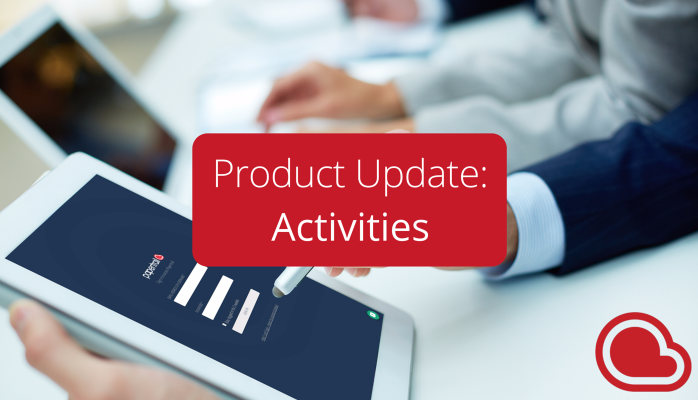 Activities shows a complete activity and change log against any record. In the above case, the activity log shows that a Papertrail user added technical information to an inspection record of a Petzl Altitude Helmet 14 days ago. Activities means that every action taken on a Papertrail account, by every user, is recorded and timestamped. Everything. This gives organisations the ability to create searchable records (according to user, activity, date, folder, etc.) for every action in the account. We are happy to say that our customers love this feature, especially managers, senior executives, directors and business owners. No more wondering who’s doing what, or whether that thing got done. It saves time. We can ensure that people with hundreds of details to worry about have significantly less, since with a quick glance, they know exactly what has been done and/or what action needs to be taken, thanks to the transparency Papertrail’s Activities feature gives them. Peace of mind in a few clicks. For example, with thousands of assets to monitor and manage, one current user of this feature uses it to know where each and every tool is at any given time, but also to build up a complete history of where that tool has been between inspections or calibrations. This is incredibly useful in ensuring tools are looked after correctly, and staff have accountability for the equipment they use. Customers can also ‘star’ a folder – thereby making it more prominent – which means that person will receive notifications about that folder, which makes it much easier to track individual assets, view folders faster and pinpoint equipment they need with ease. Right now, this feature is only available through our web-browser application (including via browsers on smartphones and tablets), and is soon to be available on the iOS and Android mobile apps. In the coming months, we are working on rolling out Activities for Folders, giving you even more detailed and up-to-date information about groups of equipment, staff or processes. We think that Activities will ensure that compliance and managerial oversight are baked deep into Papertrail for years to come. Start your Papertrail for free today.